/ Modified sep 1, 2011 4:26 p.m. 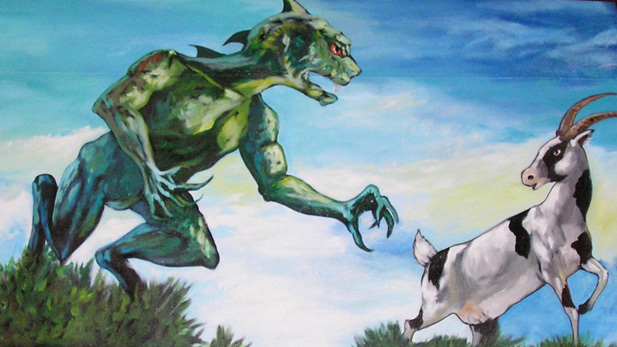 Sideshow banner at the 2005 Erie County Fair in New York, depicting a chupacabra attacking a goat. 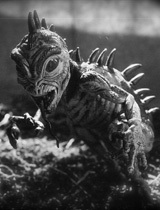 Cryptozoology is the study of mysterious creatures for whom evidence may exist, but which are not as yet recognized by science. The tools that a cryptozoologist has to work with are often the same as a police officer,chief among them being eyewitness testimony, forensics, psychology, and a lot of legwork. But, a keen cryptozoologist must also employ a knowledge of folklore, and an understanding of how modern media allows information to be instantly spread regardless of its veracity. 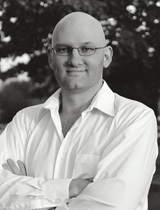 Author Benjamin Radford has written five books and hundreds of articles about monsters, urban legends, mass hysteria, and media criticism. He is the managing editor of The Skeptical Inquirer, a publication that routinely finds itself in the cross hairs of believers who want to disregard what science has to say about their pet subject or field. Benjamin's latest book is called "Tracking the Chupacabra: The Vampire Beast in Fact, Fiction, and Folklore", published by the University of New Mexico Press, and it tackles the subject of belief vs. proof head-on. A very old concept wearing a very modern face, the legend of the Chupacabra has spread quickly in the 16 or so years since it's first documented sighting. And, with each new unidentified animal carcass that is categorized as either the monster itself, or one of it's victims, it has proven to be a very internet-friendly sort of beast. 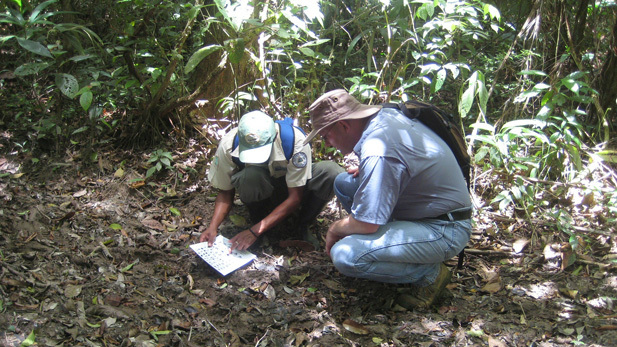 Researcher Benjamin Radford consults with a tracker in the jungles of Nicaragua, searching for a population of chupacabras. Living Each Day to the Fullest After 'Miraculous' Recovery From Bike Crash Spotlight Session: Heather Hardy & Alvin Blaine Finding Common Ground with "One Small Step"